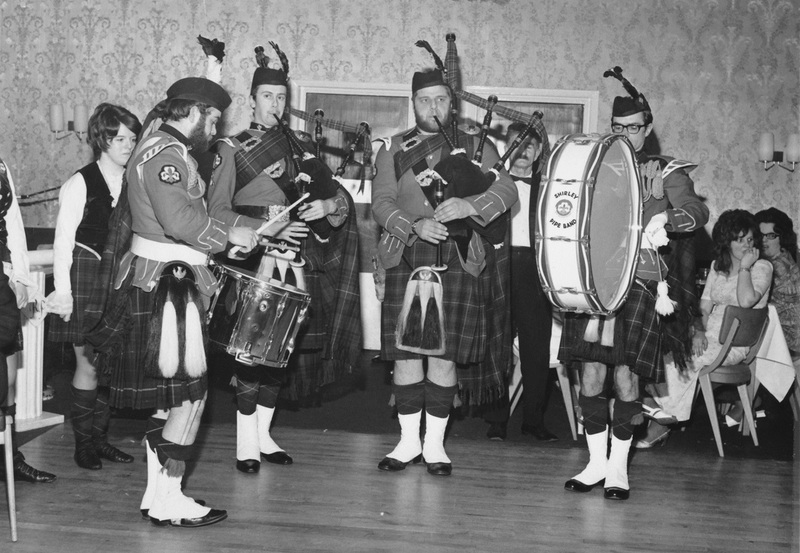 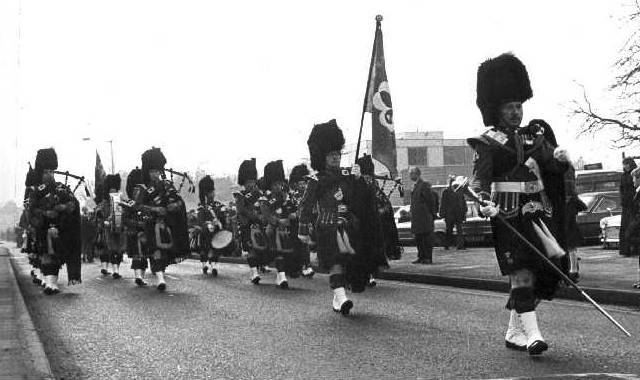 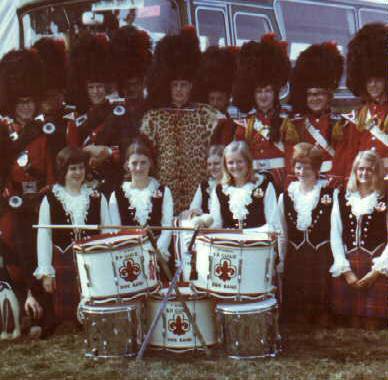 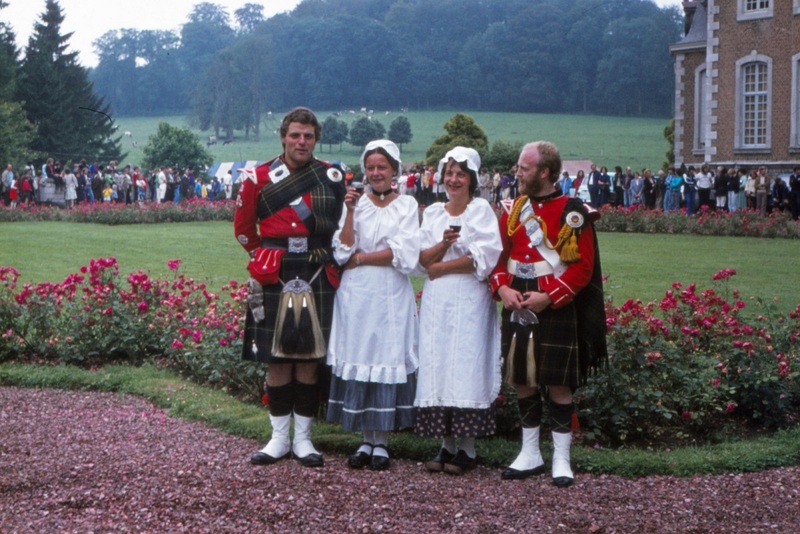 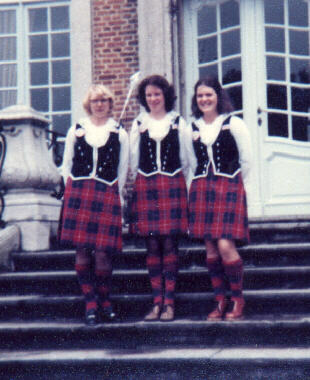 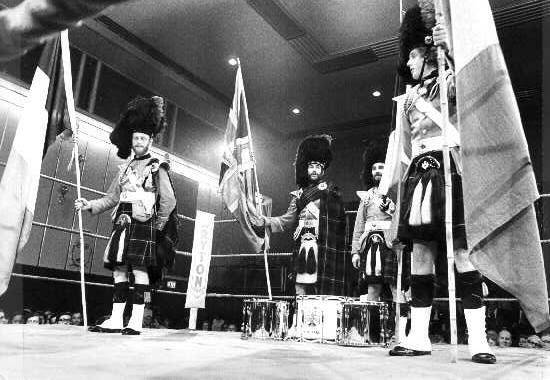 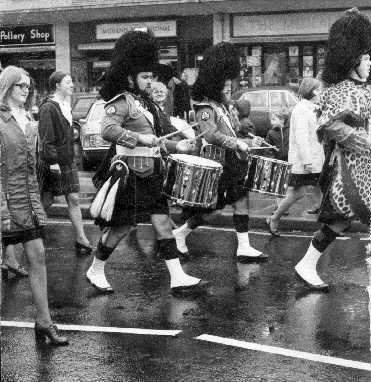 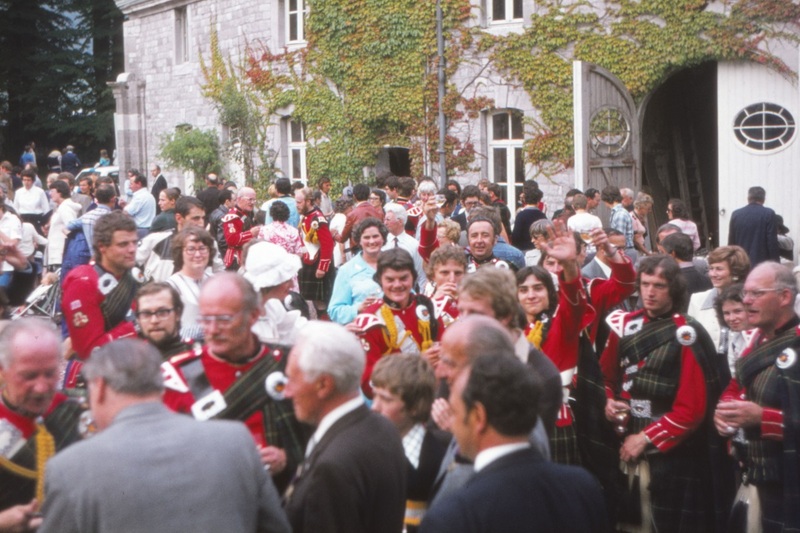 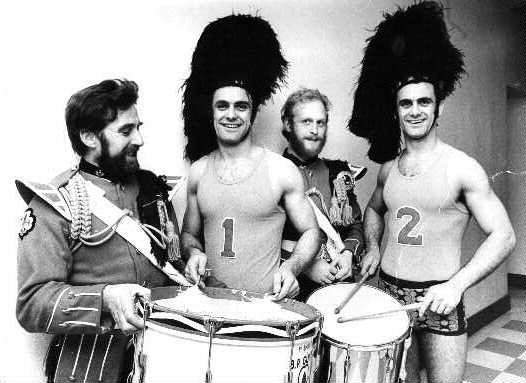 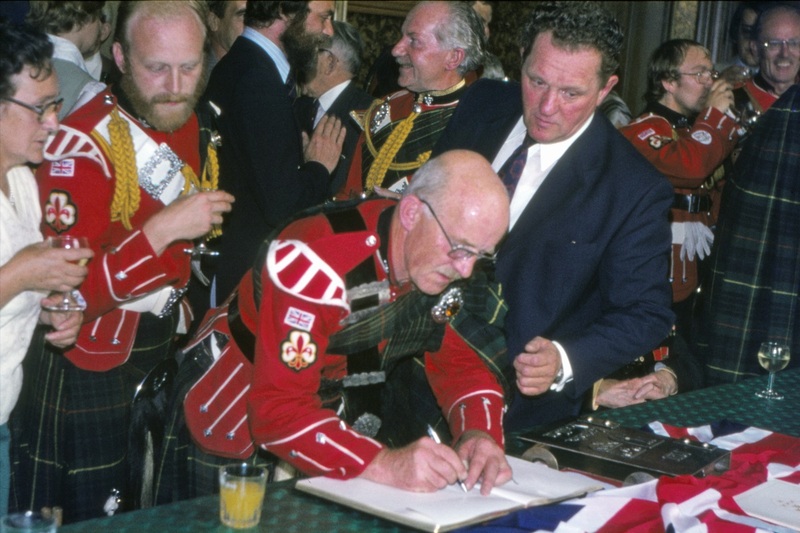 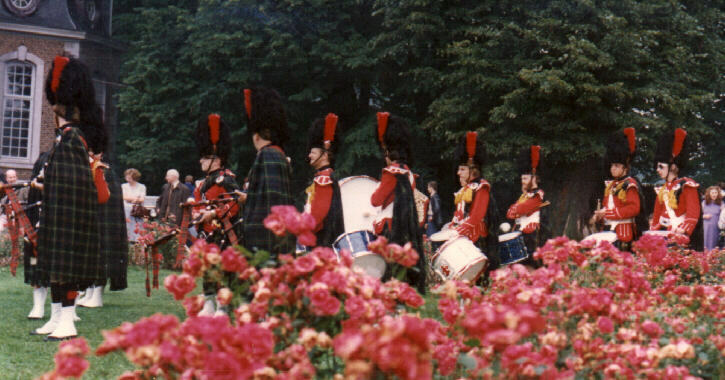 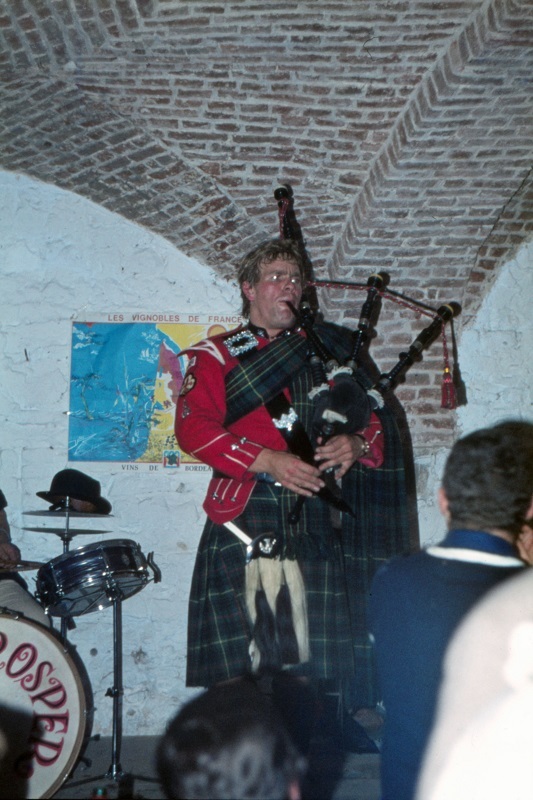 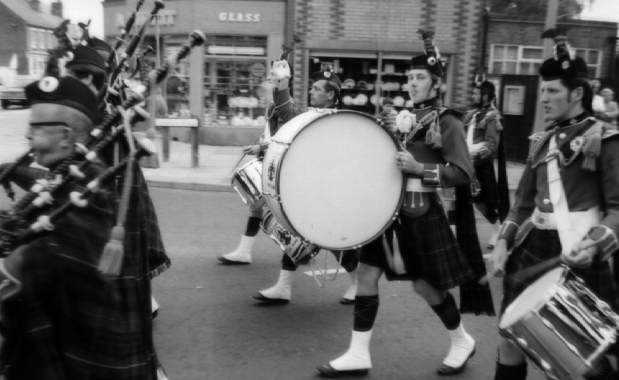 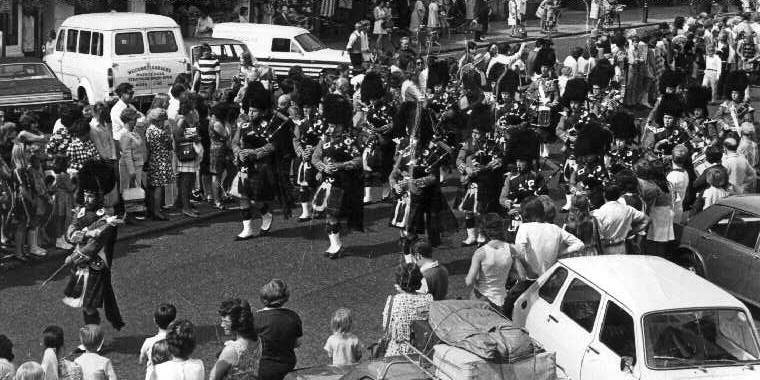 In the 1970s we changed our name from the Shirley BP Guild Pipe Band to Shirley Pipe Band. 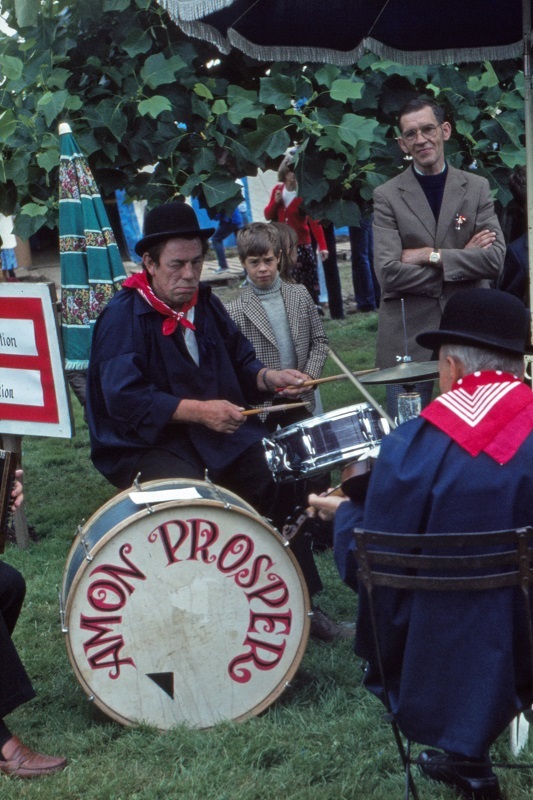 We gained our appetite for overseas trips with a series of bookings in Auxerre in France and Soiron in Belgium. 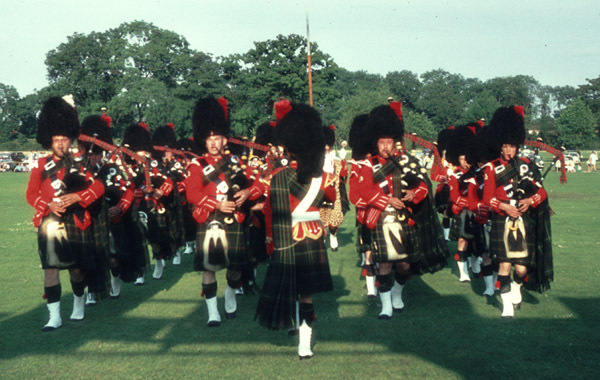 Click on a thumbnail photograph to see a larger version. 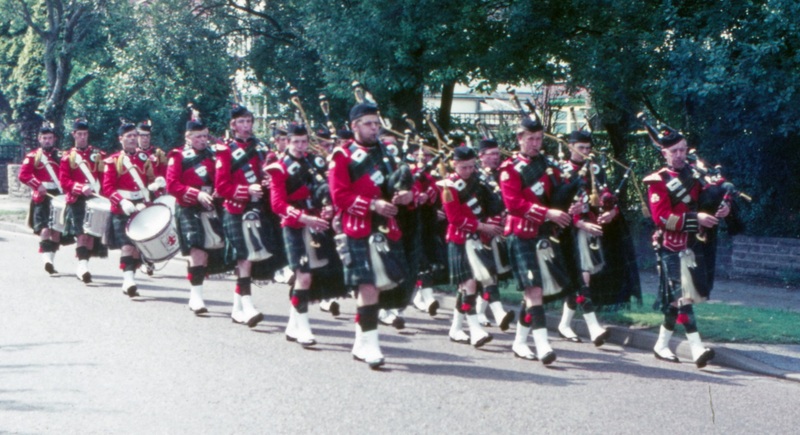 Names are listed left to right unless stated. 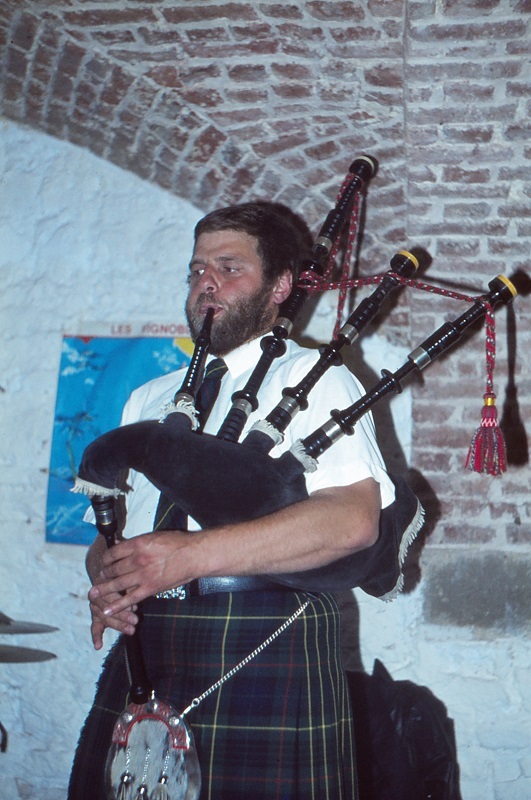 Where it states "Names also shown when photo viewed", positioning the mouse over a face in the expanded photo will display the name, depending on browser support. 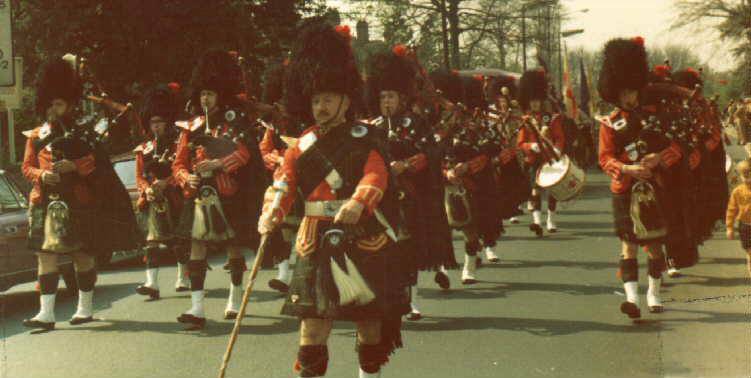 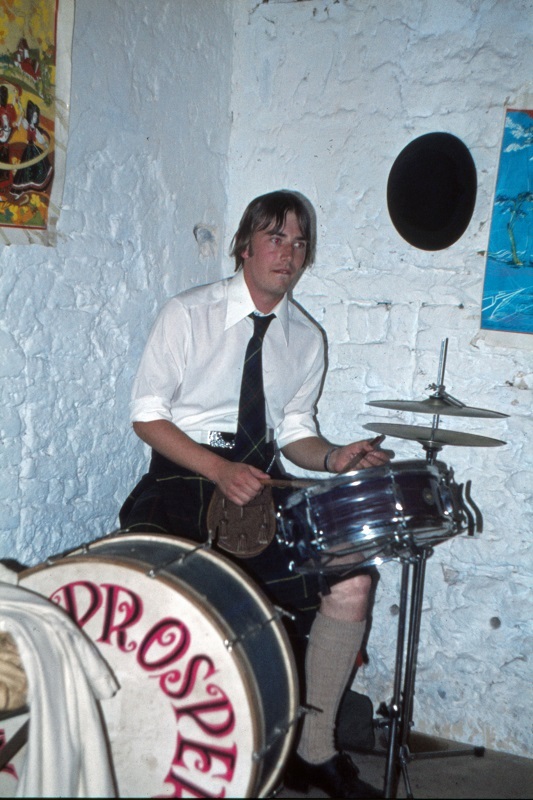 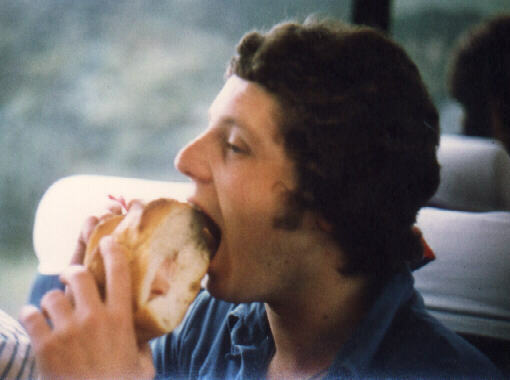 In 1978 we changed our name to Shirley Pipe Band though the B.P. 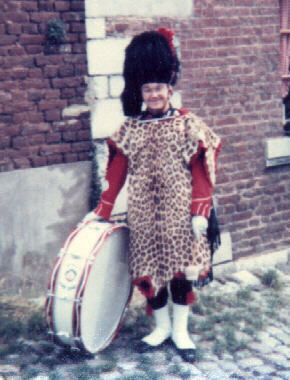 Guild badge was still worn until the first band badge was introduced around 1980. 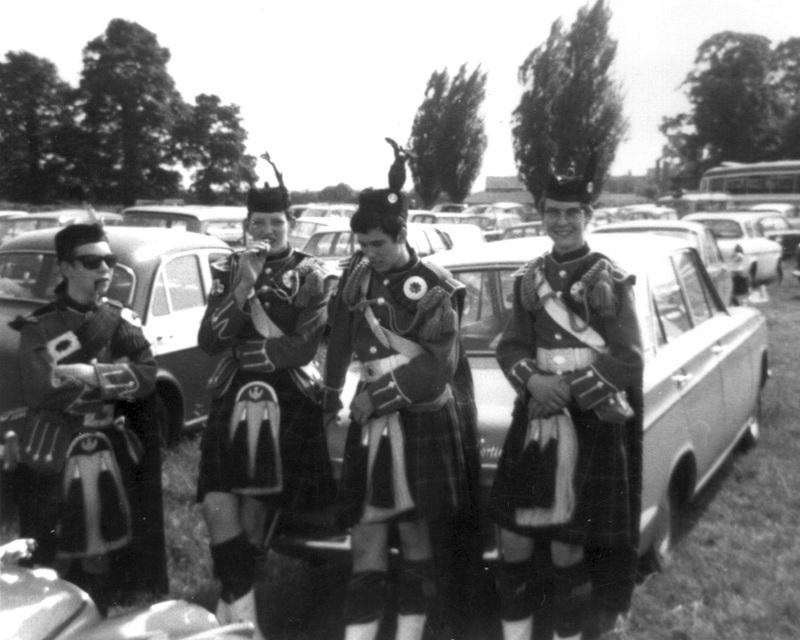 Mike Hope, Jon Hughes, Roger Catch, John Dalman, Colin Poole, John Fear, ?, Jim Galeford, ? 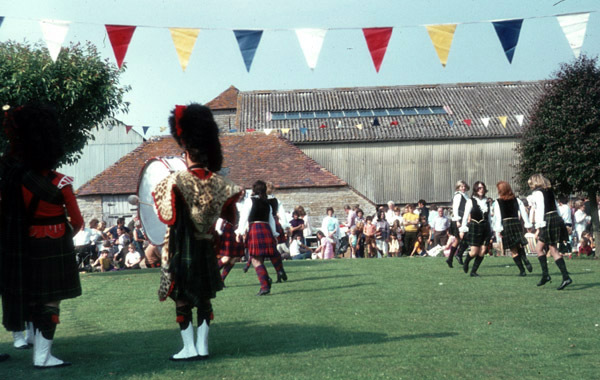 Dancers, Kneeling: Diane Green, Lesley Bode (Fear), Chris Bennett (Cross), ?, Helen Wheeler (Phillips), ?